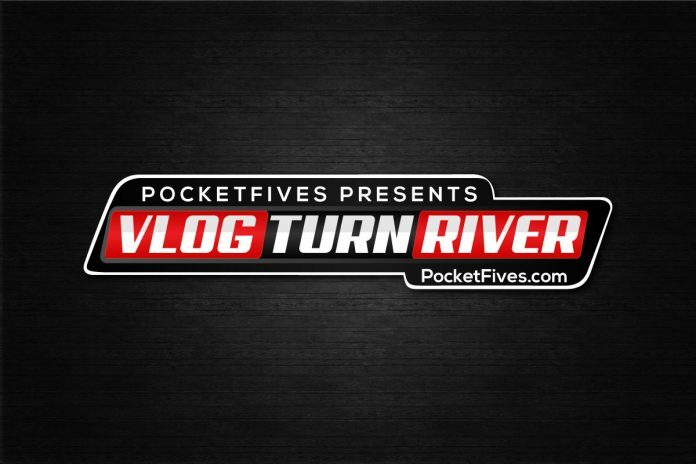 VLOG / TURN / RIVER will take PocketFives readers inside the world of poker vlogging. You might have noticed somebody in your regular game sitting there with a camera – or two – in front of them. You may also have seen that player walk away from the table and start talking into one of those cameras. It’s all part of a grassroots movement that has beginnings from far outside of poker. Welcome to the world of vlogs. The poker community really jumped on the vlogging train in the last few years and poker vlogging has grown so much that the American Poker Awards added a Video Blogger of the Year category for 2018. Over the next seven days, VLOG / TURN / RIVER will take poker fans inside the world of poker vlogging with a focus on the people behind the vlogs and the ins and outs of what it takes to produce vlogs on a regular basis. So, what is a Vlog? a self-produced video journal that chronicles a poker player’s personal experiences, thoughts and opinions, which is published online. Doug Polk, Daniel Negreanu, Matt Berkey and Jamie Staples are just a handful of the more established professional poker players that have taken to vlogging. The content that this group has created is certainly compelling and we’ll spend some time talking about them, but they won’t be the focus of VLOG / TURN / RIVER. Instead, VLOG / TURN / RIVER turned its attention on six players that have made a name for themselves just by vlogging. Each of them has taken their followers into poker rooms and on the road in an attempt to give them a real, honest look at the life of a poker player at various stages of their career. Jaman Burton is a St. Louis, based poker player and the creator of the Drawing Dead vlog. His cinema inspired vlogs capture his cash game poker adventures playing $1/$3 and $2/$5. Andrew Neeme – a Las Vegas-based vlogger who many consider to be the godfather of the group. He regularly posts vlogs from $2/$5 and $5/$10 No Limit games in Las Vegas and other locales. Brad Owen is a professional poker player turned vlogger living in Las Vegas. He frequently chronicles the ups and downs of his poker sessions playing $2/$5 in the card rooms of Sin City. Andrew Pieper is a voluntarily homeless live cash game professional living in Las Vegas, NV. Pieper frequents $1/$3 and $2/$5 cash games across the strip and brings his camera with him to chronicle his journey. Matt Vaughan is a poker vlogger, grinder, and teacher. He splits his time between working with a training site, playing $2/$5 and $5/$10 cash games, and dabbling in the occasional live tournament. Tim Watts, known as ‘The Trooper’, is a poker-centric vlogger based out of Las Vegas. In addition to showcasing his on-the-felt exploits, he takes his viewers into his day-to-day life. As well as profiling those six vloggers, VLOG / TURN / RIVER also provides insight into other key areas from the world of poker vlogging in an effort to answer some questions that readers and industry insiders may have as the genre continues to grow. What type of equipment players can use if they want to start their own vlog and what are some of the basic skills that might come in handy? Filming inside poker rooms, as most vloggers do, is a tricky subject that crosses into some privacy concerns for other patrons and legal concerns for the properties. What’s the best approach to handling this? As easy as it might seem, the time required to put together each episode of the vlog can get excessive. What are the best ways to manage their time and ways to make sure it doesn’t take too much away from their time at the tables? What does the future hold for the vloggers and the world of vlogging? What will it take for some of these vloggers to pick up a highly coveted sponsorship or ambassador position thanks to the audience they’ve built? As you’ll no doubt learn over the course of the next seven days, vlogging is a lot like poker itself. It requires commitment, time away from the table to study and continue to learn ways to get better at your craft, and most of all, a passion for what you’re doing. VLOG / TURN / RIVER might introduce you to an entirely new group of storytellers or it might even inspire you to pick up a camera and try doing it yourself.